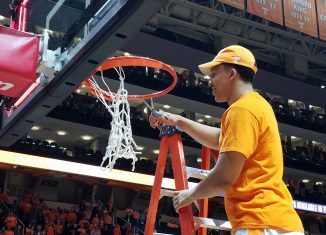 Former Vol basketball players all around the world shared their admiration and advice to this year's Co-SEC Champions via Twitter. 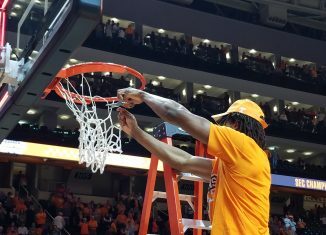 The Vols snagged a co-SEC regular season title on Saturday, but they're not satisfied with just one title this season. 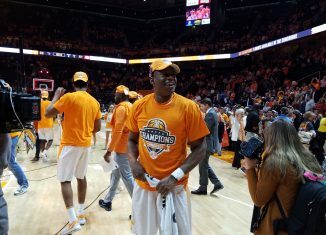 Admiral Schofield has been the hot hand for the Vols down the stretch, and he's reveling in the fact that his team defied preseason expectations. 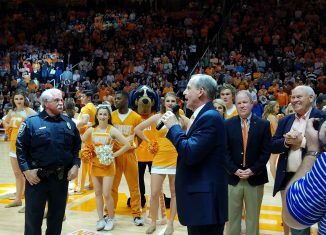 Tennessee head basketball coach Rick Barnes and some of his players spoke to the media after the Vols beat Georgia and won a co-SEC championship. 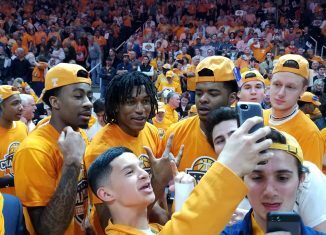 Watch all the videos and take in all the revelry from the Vols' 66-61 co-SEC title-clinching victory over Georgia on Saturday night. 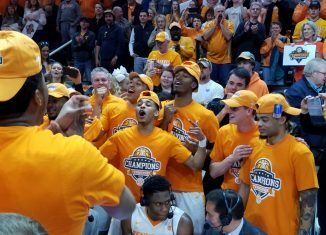 Check out our photo gallery from the Vols' celebration of their co-SEC championship after defeating Georgia 66-61 on Saturday night.